The Gateway Iron challenge is Ireland’s first adventure race to be held over three days which will involve a swim, bike and run race. The distance of each of the three disciplines is the “Iron distance” and consists of a 3.68 km swim, a 180.2km cycle and a 42.19km (26.2ml) marathon run. 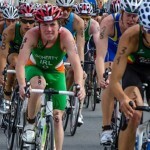 The marathon will be run in association with Mullingar Harriers athletic club and the cycle in association with Lakeside Wheelers cycling club. Scheduled for the May Bank Holiday weekend, 30th April, 1st and 2nd of May, the Gateway Iron challenge will take place in and around the scenic town of Mullingar. The Swim will be in Lough Ennell at the stunning Belvedere House Gardens & Park, a magnificent Parkland Estate on the shores of Lough Ennel in the Irish Midlands, just 4km from Mullingar. 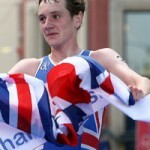 The Cycle Race and Marathon Run will start and finish in the centre of the Town. The event is designed for solo competitors and relay teams. You can enter just one of the disciplines or go the whole way and complete the Famous Iron challenge by finishing all three disciplines over the 3 days with a team or as a solo entry. 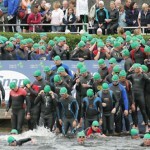 Unlike other events, this race uniquely allows people to try and experience part of an Iron distance race without having to compete in all three events.The Gateway Iron Challenge is proudly part of the Destination Sport Mullingar programme of events for 2011. Organised by Westmeath County Council and its strategic partners, Destination Sport Mullingar is a new and exciting sporting extravaganza that celebrates, encourages and promotes all forms of sporting activity, with opportunities for public participation in a fun and festive atmosphere, while seizing opportunities that arise to bring high profile and exciting competitive sporting events such as the Gateway Iron Challenge to Mullingar, thereby putting Mullingar on the map as a premier Destination for Sport. Danny McLoughlin , County Manager, Westmeath County Council said “In bringing Destination Sport Mullingar to this higher level we are delighted to be associated with the Gateway Iron Challenge which will prove a fabulous racing challenge that will encourage people from all over Ireland to take part, be that as competitor or spectator, local or visitor. He went on to say that “Mullingar as host town, is a fantastic venue for this event with lots to see and do and which can offer a thoroughly wonderful Midlands experience for competitors and spectators alike”.